The aborted coup in Turkey has fired up interest in a country which will play a critical geopolitical role in the wars of the Middle East. 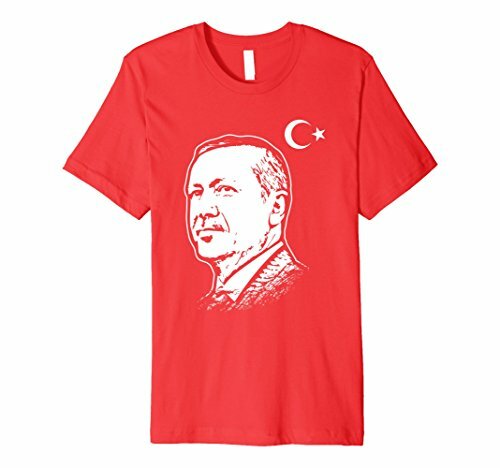 The spotlight will inevitably be on Erdogan – the powerful leader of the country - whose increasingly bizarre and authoritarian regime has increased tensions enormously both within and outside the country. His crackdown has been brutal and consistent – thousands of journalists arrested, academics officially banned from leaving the country, university deans fired and three quarters of highest ranking army officers arrested.In some senses, this coup has given Erdogan the license to make good on his repeated promise to bring order and stability under a ‘strongman’. Here, leading Turkish expert Soner Cagaptay will look at where Erdogan comes from in Turkish history, what he believes in, how he has cemented his rule will assess the threats he faces – from the liberal youth to the Gulen movement, the army plotters and the Kurdish question. For the last century, the Western world has regarded Turkey as a pivotal case of the 'clash of civilisations' between Islam and the West. Why Turkey is Authoritarian offers a radical challenge to this conventional narrative. Halil Karaveli highlights the danger in viewing events in Turkey as a war between a 'westernising' state and the popular masses defending their culture and religion, arguing instead for a class analysis that is largely ignored in the Turkish context. This book goes beyond cultural categories that overshadow more complex realities when thinking about the 'Muslim world', while highlighting the ways in which these cultural prejudices have informed ideological positions. Karaveli argues that Turkey's culture and identity have disabled the Left, which has largely been unable to transcend these divisions. 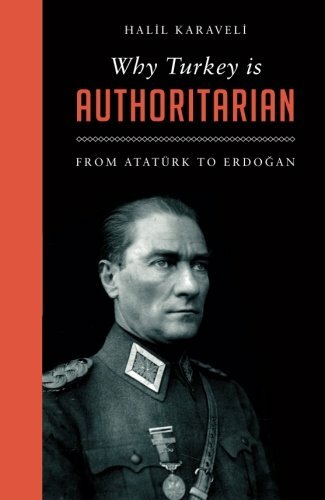 This book asks the crucial question: why does democracy continue to elude Turkey? Ultimately, Karaveli argues that Turkish history is instructive for a left that faces the global challenge of a rising populist right, which succeeds in mobilising culture and identity to its own purposes. Published in partnership with the Left Book Club. Under the rule of Recep Tayyip Erdogan Turkey has descended into a dictatorship, promotes the Islamist agenda, abuses human rights, limits freedom of expression in the press, and wages war against the Kurds. While Turkey has historically been important geopolitically, it has become an outlier in Europe and an uncertain ally of the United States.An Uncertain Ally is a straightforward indictment of Erdogan. 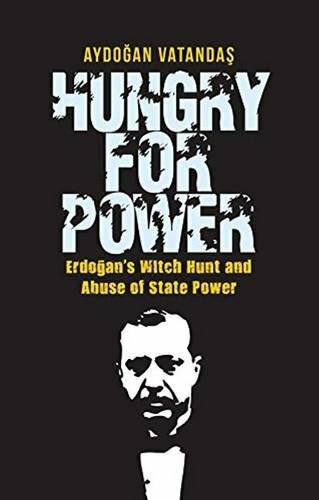 Drawing on inside sources in his Justice and Development Party (AKP) and the police, the book reveals corruption and money laundering schemes that benefitted Erdogan, his cronies, and family members. Erdogan has polarized Turkish society and created conditions that led to the coup attempt of July 2016. He has also deepened divisions by accusing Fethullah Gulen, an Islamic teacher in Pennsylvania, of establishing a parallel state and masterminding the coup attempt. Erdogan has seized on the failed coup to justify a witch hunt, arresting thousands and ordering the wholesale dismissal of alleged coup sympathizers. Rather than foster reconciliation, he pursued vendettas and turned Turkey into a gulag.An Uncertain Ally exposes Turkey’s ties to jihadists in Syria and the Islamic State, questioning its suitability as a NATO member. Under Erdogan, Turkey faces a dark future that poses a danger to the region and internationally. “Whither Turkey?” is a question that has become one of the most pressing national security topics of our time. 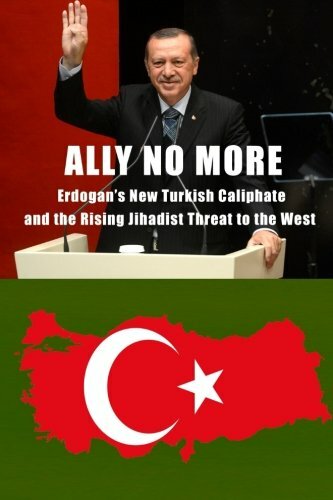 The available evidence – including notably the increasingly overt ambition of Recep Tayyip Erdogan to become the Caliph of a neo-Ottoman empire, his naked hostility toward the United States and the damage being done by Turkey to America’s vital interests and those of the rest of NATO and other allies like Israel and the Kurds – suggests the answer is alarming. 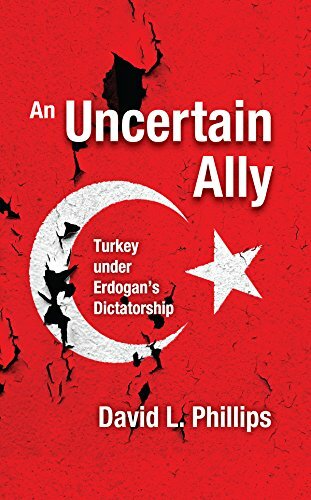 That evidence is thoughtfully assessed in Ally No More, including in essays about the presence of Turkish influence operations and infrastructure that could bring here the threat posed to this country by Erdogan, as well, making it required reading for policy-makers and the public, alike. For much of the last thirteen years, Turkey rode a wave of political, social, and economic success. When the AK Party came to power in 2002, it pursued a progressive and democratic agenda which resulted in the advancement of democratic and human rights and widespread economic growth. Two landslide election victories reaffirmed the AK Party’s successes, and Turkey was held up to the world as an example of the peaceful co-existence between Islam and democracy. 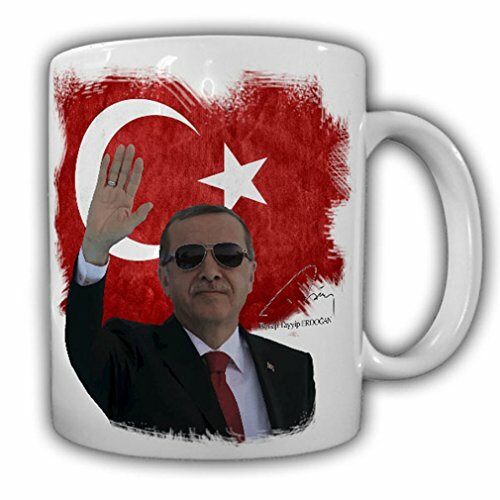 So now we ask: what went wrong?After the AK Party secured its third sweeping victory in the 2011 Parliamentary elections, Recep Tayyip Erdoğan suddenly veered off "the train to democracy" and began pursuing his personal agenda. The result has been four years of brutal crackdowns on public demonstrations, the criminalization of the free press and internet, and the deliberate polarization of society through hate speech and fear mongering. What was once a growing democracy has become a burgeoning police state. All sections of society have suffered, but few have suffered more than Hizmet, a peaceful civic movement that has been the victim of a massive witch-hunt as the government has sought scapegoats for its increasingly corrupt behavior. Such a witch-hunt should serve as a warning to the whole of Turkish society: even the peaceful are not safe.This collection of articles shed light on Erdoğan’s transition from Muslim democrat to authoritarian leader, analyzing events as they happened. 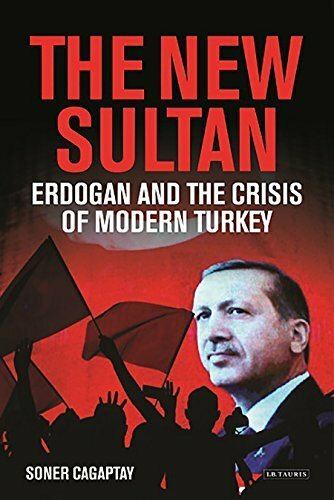 They present a variety of perspectives on Turkey’s unique position in the Middle East, its relationship with the USA, Erdoğan’s extreme reactions to any form of opposition, and his escalating authoritarianism and witch hunt.